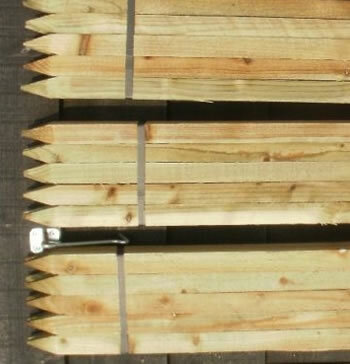 These are very strong, pressure treated, Scandinavian slow grow pressure treated garden stakes for extra strength and are ideal for many general purpose uses in your garden or allotment. 10 x 1.35m (4.75ft) tall, 35mm square pointed garden stakes. Scandinavian slow grown timber and HC4 pressure treated. 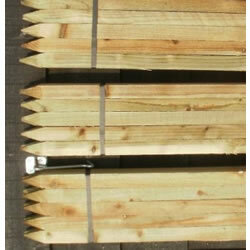 Superb quality compared to UK agricultural grade stakes. Also available in 75cm, 90cm, 1.2m and 1.5m tall sizes. Next working day delivery service.